You can still visit us at WindowsontheGO.com/blog for all your Windows News!! Asus Eee Ultra Mobile PC Coming Soon! Asus is coming out with a new line of Ultra Mobile PC’s which are going to be a) very low in cost and b) very small & portable in size. The Asus Eee will come with a Linux OS but is capable of running Windows XP!! The Asus Eee will be coming in various colors…. Windows Mobile 6.1 Coming Soon!! The Boy Genius is showing off the all new Windows Mobile 6.1!! When you compose an email, or SMS, and start typing the name of the contact in the “To:” field, the contact names finally pop up like Windows Mobile Professional! We will constantly update this section with must have applications for your Windows Device!! vTap: With this free application you can watch almost any video on youTube and other similar websites. You can also search any topic within Wikipedia!! For a direct download, select your device HERE. PocketCM: Contact manager & on screen keyboard for your Windows Mobile Device. This is a must have application which gives you easy access to your contacts. CLICK HERE for more info and download. 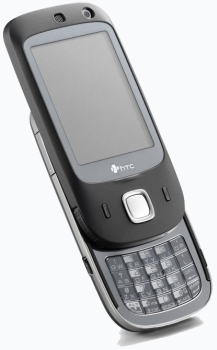 HTC Album: This is the new Album program from the HTC Touch Dual. CLICK HERE for direct download. Adobe Flash Player: View websites with Flash within your Pocket Internet Explorer. CLICK HERE for direct download. Total Commander: An excellent file explorer with a lot more functionality. CLICK HERE for direct download. Microsoft Office Mobile 6.1: An upgrade to the Microsoft Office which offers many new features. CLICK HERE for more info and download. Want to sync your MAC With Windows Mobile? If you have a MAC book and a Windows Mobile device you probably already know about a program called “Missing Sync”. Missing Sync is an excellent program but the problem is…. it cost $$$!! Here’s a Beta program called Syncmate that does the same thing and currently is absolutely FREE. CLICK HERE for more details and a link to download!! Samsung making RFID Chips for Mobile Devices?? It is not exactly clear on what these “chips” will actually do, but you can bet that these will be embedded in many new mobile phones coming to the market in the near future. HTC TOUCH DUAL IN STOCK!! QWERTY KEYBOARD! 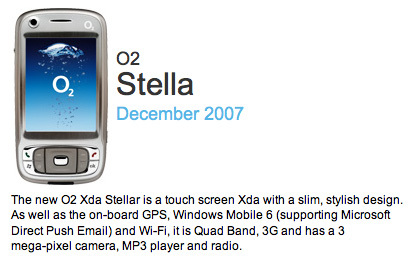 HTC TyTN II Coming to O2 as the XDA Steller! No details yet on the pricing but you can bet it will be more than the HTC branded TyTN II.